Let's Play With - Crossbows! 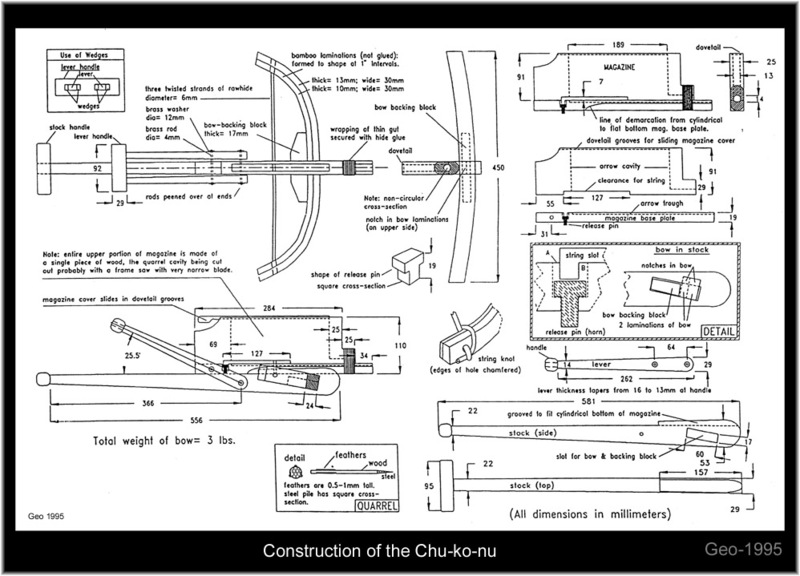 After all the fun we had thinking about Mini-Cannon (Part 1 and Part 2) and now that we are potentially plagued by Trophy Rats, it was nice to see Jay from MArooned giving a mention to the the Chu-ko-nu or the Manchurian Repeating Crossbow. Lets just say that again, Manchurian-Repeating-Crossbow, sounds like fun doesn't it? And highly affective against beer cans, cardboard boxes and other household menaces. For the full spec click here.